There are very few things that purists and modernists agree on in cricket. The older, wiser, more traditional lot believe that Test cricket is the only form of the game that really counts, that whites are colour of cricket and that anything else is not quite cricket. The younger, fresher, more mobile lot have no appetite for games that go five days without a clear winner, want their runs and wickets bookended by pom-pom wielding cheerleaders and that anything longer than a feature film is a waste of time. The year was 2008. 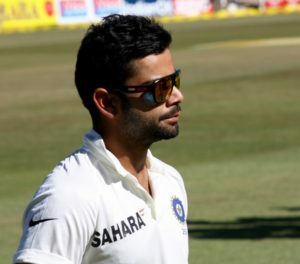 South Africa had arrived in India for a three-Test series and their first port of call was Chennai. The MA Chidambaram Stadium in Chepauk was in typical March form, the last vestiges of the nominal Chennai winter having been burned off by typically fierce sunshine. It wasn’t quite the Ides of March, but the pace trio of Dale Steyn, Makhaya Ntini and Morne Morkel were distinctly amused when Parthasarathy Kannan, the curator at the stadium, spoke lovingly of the 22-yards he had tended to for more than three decades. First the Australian team had no names. 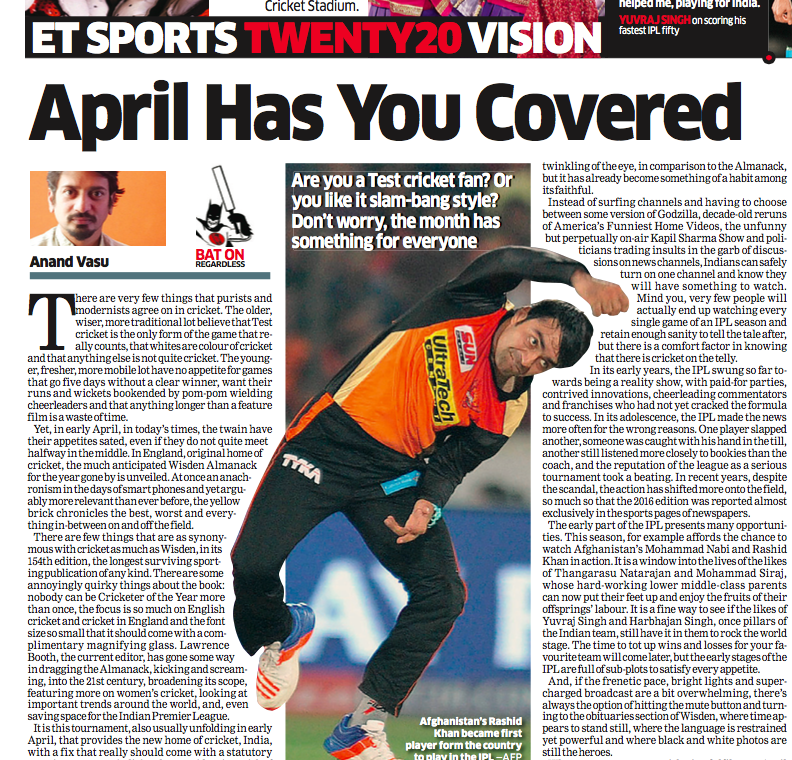 The Pune ground had no pitch. 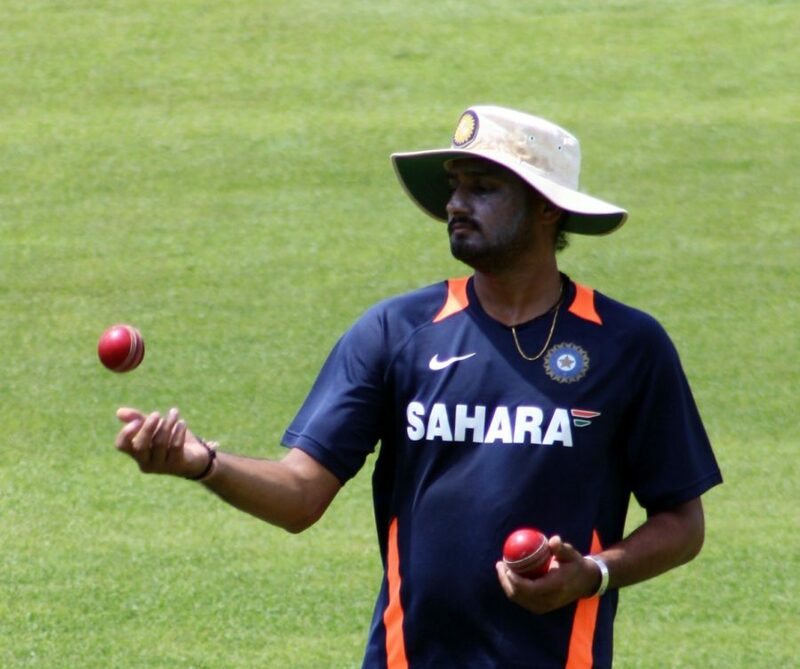 God alone knows what else will go missing in the parallel universe Harbhajan Singh inhabits, by the time the next Test of this India-Australia series takes place. To make a prediction about how a series might play out is risky at the best of times. Sourav Ganguly, possibly when pressed by journalists looking for a headline, said: “I don’t predict in cricket, but I won’t be surprised if Australia lose 4-0.” Ganguly stuck his neck out, but he did not disrespect the opposition in doing so. And, sport is nothing if not unpredictable. After all, if we knew what was going to happen in advance why would we watch sport? You know the Australian cricket team is in town when the talk turns to sledging even before the first ball has been bowled. Except, it’s the year 2017, and it’s not the touring party who are firing the shots. To their credit, it’s not the Indian team either. After all, it’s much easier to unleash these salvos when you know you don’t have to back it up with performances on the field. 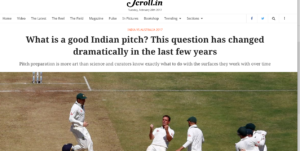 If, in every walk of life, we are uniquely Indian, for better or worse, why do we expect cricket, and how it is run, to be any different? An English journalist friend and colleague, a veteran of India visits, a man who knows his curry from his Balti and his Kingfisher from his Kalyani Black Label, was frankly mystified just recently. 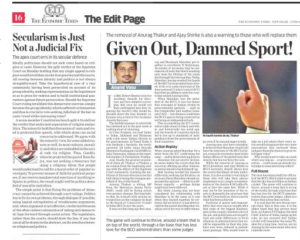 Not by England’s dramatic collapse in the final Twenty20 International against India in Bangalore, where they lost eight wickets for eight runs — he has seen enough and more England implosions than to be taken aback by such mundane events — but by the other big cricket thing that was hogging column inches. 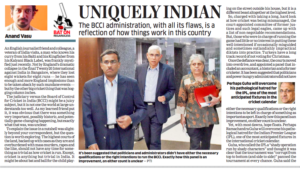 The judiciary versus the Board of Control for Cricket in India (BCCI) might be a juicy subject, but it is not one the world at large understands too well. Yuvraj Singh is back in the Indian team for the limited-overs games against England for two simple reasons. 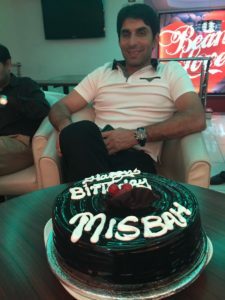 He scored 672 runs from eight Ranji innings at an average of 84 that included a 295-ball 177 against Madhya Pradesh in Lahli, the venue where seamers of all kinds fill their boots, spinners stretch out on the couch in the dressing-room and batsmen are happy to just last half an hour at the crease. 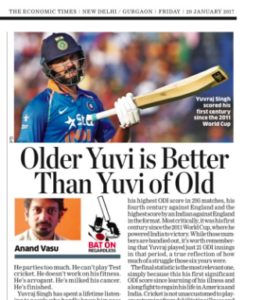 Yuvraj is also back because the selectors genuinely believe that this Indian team needs some experience in the middle- and lower-middle order. It is said that the new broom sweeps clean. But in this case, it is the oldest hand that has proven most firm. In 1980, Robert Benton won two Academy Awards, for direction and best adapted screenplay. But even he would not have anticipated just how inspiring his movie’s title would be, decades down the line. Kramer vs. Kramer won a total of five Academy Awards that year. The faithful manner in which life has imitated art in the past week is nothing short of stunning. In Uttar Pradesh, you had Yadav vs Yadav, Akhilesh and Mulayam with a few more Yadavs thrown in for good measure. In Tamil Nadu it was Sasikala v Sasikala, the newly anointed All India Anna Dravida Munnetra Kazhagam (AIADMK) leader, Natarajan, taking on the expelled member of Parliament, Pushpa. It takes considerable all-round skill to be able to accurately mimic the two pillars of Tamil cinema, Rajnikanth and Kamal Haasan. Most film fans from the southern states are divided firmly in their loyalty between these two actors. Like George W Bush once said, in a completely different context, ‘either you are with us or against us’. 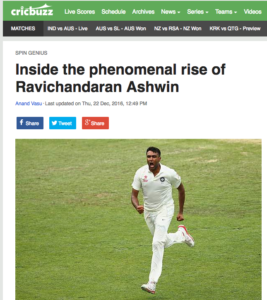 But, as this video and this one reveal, R Ashwin is in that minority where there is no us or them, and, typically, he is not coy about it.